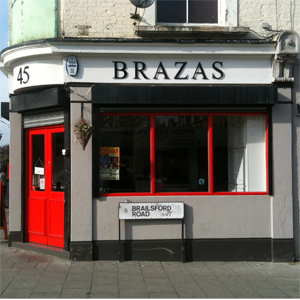 This “authentic Portuguese cuisine in the heart of South London” is a Brixton staple. It is not in Brixton Village but nearly opposite the large Sainsbury’s on Tulse Hill. We’ve reviewed it before but the people who ran it previously have moved on to Prima Donna in Market Row. However, the food on offer is basically unchanged. It has an unprepossessing exterior and at first glance the interior looks like a local cafe. But venture further into its Tardis-like interior and you will find a proper restaurant at the back and, like the Tardis, it is much bigger than it seems as the restaurant area runs across two buildings. Tables are plain, have a couple of red flowers and a candle. Picasso styled paintings adorn some walls. None of this provides a warm interior and it was so chilly that we kept our coats on. This is more South America than Portugal and it is mostly about meat, chargrilled, and so one of our selections was piri piri chicken. The sauce was tasty rather than fierce. The menu is broad if not that long – lots of salads (not for this time of the year) and some vegetarian main courses and so our other dish was courgette frittata. 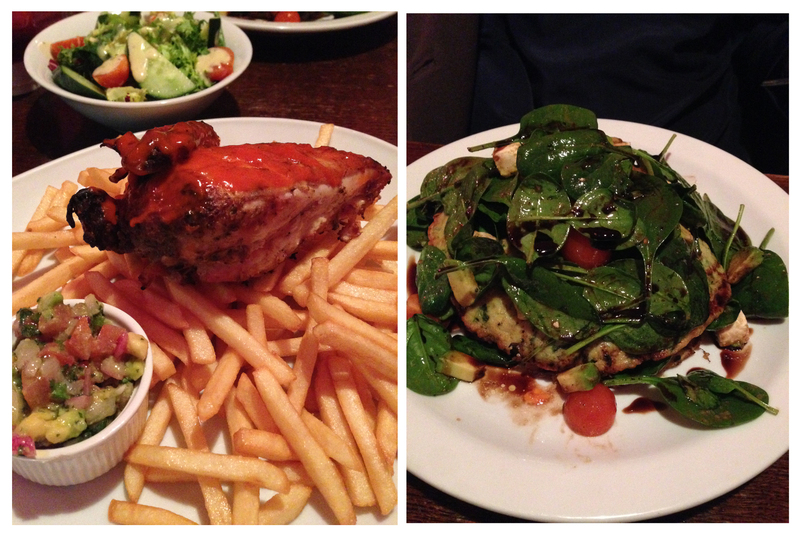 The meat came with a decent portion of chips, salsa and a salad. The frittata (huge) comes with salad leaves, cherry tomatoes, feta cheese and the ubiquitous avocado – which here was just wonderful. My piled up plate was far too much to finish and I was glad to stick to one course. But the hungrier can have chargrilled chorizo, cod balls or grilled halloumi to start and stacked pancakes for dessert if they have any room left. You get to see all the preparation in the open kitchen and so it was all served piping hot. We supped beer (Sagres) and red wine from Chile. On a Wednesday night at 6.45 it was empty, except for a couple of chaps who clearly knew the restaurant owner well. You can book and I suggest that for later in the evening or at weekends, as we have seen it heaving. They also have a takeaway menu if you can’t get a table. We didn’t choose the £10.00 menu which is for two courses but it looked good value. They have changed little since our last visit – fewer cakes but maybe that is because it is midweek. It was £22.00 for main course and drinks – not cheap but a large part was the alcohol. This is a good neighbourhood restaurant and we think we would go again in a couple of months.